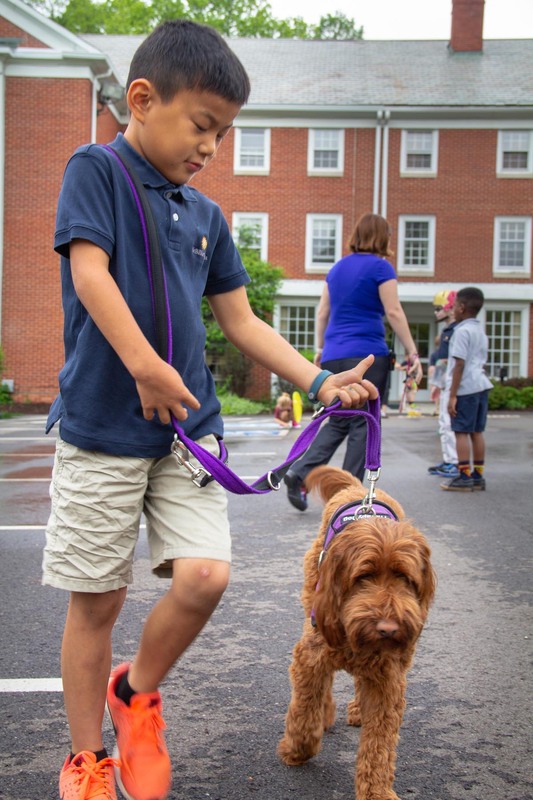 When a child is diagnosed with a learning disability, finding the right school that offers the individualized attention and accepting environment they need to be successful becomes a major focus, and all too often, a challenge for parents/caregivers. Julie Billiart Schools, with campuses in Lyndhurst and Akron, offer answers and solutions that give parents hope for their child’s future. Knowing what possibilities are available provides peace of mind and assurance that their child can reach their highest potential in a nurturing environment that also supports social learning and spiritual growth. Julie Billiart Schools understand that students learn best when their differences are understood and accepted. Sometimes parents/caregivers suspect or discover their child is struggling to learn at a very young age. Early intervention, especially before age 4, can have a powerful impact on the child’s academic and social development. We recommend beginning the search for the appropriate resources as soon as a diagnosis is made. Quality academic programs in particular, can be challenging to find and often times enrollment fills up quickly. Ask questions, explore various options, talk to other parents and get your child’s name on a waiting list as early as possible. Many times, noticeable signs of a child’s learning delay can go undetected or undiagnosed until they reach 3rd or 4th grade. Parents/caregivers should consult their child’s teacher, pediatrician or even neurological psychologist to best determine the certainty of a learning deficiency. If a diagnosis is made and the student’s local public school district determines an Individualized Education Plan (IEP) or a 504 Plan should be written, parents again are encouraged to explore the academic resources available to the child and, if necessary, have their names added to waiting lists as early as possible. Small class sizes with a 1:6 teacher-to-student ratio assures each student is receiving the necessary attention they need for academic, social, and emotional growth. The dynamics of having two intervention specialists in a classroom at a time provides students with an additional level of and support and instruction. Julie Billiart Schools’ educators are licensed intervention specialists, many of them having master’s degrees. Held to the highest standards, all of our teaching staff have extensive classroom training and experience with students who have been diagnosed with high functioning autism, ADD/ADHD, dyslexia, and other specific learning disabilities. Our teachers often refer to their time at Julie Billiart Schools as a calling, not a career, which explains our high teacher retention rate. Our collaborative approach to special education pairs newer teachers with veteran educators so that innovative, creative solutions and techniques are combined with tried-and-true methods to help students reach their full potential. All staff members across the Julie Billiart network of schools are encouraged to participate in professional training and learning opportunities that develop and explore new skills from other experts in the special needs educational community. We understand that no two children learn the same way. The small class sizes and high teacher-to-student ratio at Julie Billiart Schools allow our licensed intervention specialists to assess each student’s abilities, discover how they best learn and design an individualized learning plan that meets the child’s specific needs. Our buildings, classrooms, and recreation areas are designed to encourage play, movement, creativity and, of course, learning throughout our students’ day. Before and after care programs are available at both campuses, along with a variety of music, social, and academic boosting activities, all supervised by skilled and experienced staff. Julie Billiart Schools offer on-site art, music, occupational, and speech therapy. Licensed therapists work with one another and the teaching staff throughout the day to offer consistent strategies that best ensure each student is reaching their goals and developing new skills. Raising a child with special learning needs can be both challenging and rewarding. Because we believe in the importance of a solid foundation for our families to grow and thrive, Julie Billiart Schools facilitate several opportunities for our students’ families to learn, grow and share their experiences. Lecture series, Parent Action Committees, and adult art therapy sessions are just a few ways our families are able to connect with each other, learn how to best support their child or simply enjoy an evening of adult conversation. Discover more about Julie Billiart Schools by attending one of our upcoming Interested Parent Open Houses. There you can ask questions, talk with our staff and see, first hand, what makes us truly different from other special education schools.